Welcome To Mike's Automotive Services - Your Somerville Auto Repair Specialist! Our award winning service facility is dedicated to making your life easier. From our expert service, friendly and helpful people, to our conveniences, we make car care better for you so YOU can have peace of mind. Mike's Automotive is one of the most qualified independent auto repair facilities in the state. There are only 10 ASE Blue Seal of Excellence Recognized Businesses in all of Massachusetts, and proudly we are one of them. This means our technicians are very well qualified to perform maintenance and repairs on your vehicles. Our technicians are ASE Certified or ASE Master Technicians with decades of experience. We provide ongoing education to keep them up-to-date with the current vehicles including hybrids. Proving that our shop is a great shop that gives more friendly and more personal care is EASY! 12 Year Winner of Angie's List Super Service Award for 2005, 2006, 2007, 2008, 2009 2010, 2011, 2012, 2013, 2014 and 2015. We were the first shop to receive this award in the entire state of Massachusetts! 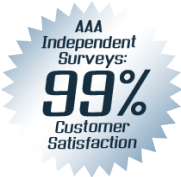 99% Customer Satisfaction Rating from AAA's Independent Surveys of our customers. Multiple Year Winner of the Somerville Journal's Readers Choice Award! Boston's First Winner and 12 Years Running! Mike's Automotive Services provides expert auto repair and maintenance services for most foreign and domestic cars, trucks, and SUV's. We provide a full range of auto repair services from oil changes to complete engine jobs. We are a AAA Approved Auto Repair facility with 99% Customer Satisfaction Rating. $25 a day car rentals available when your car is in our shop. 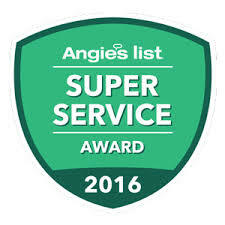 We are an Angie's List Super Service Award Winner for 12 years running (first in the state). Multiple year winner of the Somerville Journal's Readers Choice Award for Best of Somerville. Excellent Warranty: up to 2 years or 24,000 miles. Our customer service staff is very friendly and truly helpful. We're up-front, straightforward and trustworthy. Our customers say this is what they love the most about our business. Highly Qualified: We are one of only a few ASE Blue Seal of Excellence Recognized Businesses in the State. Our techs are either ASE Certified or Master Technicians. Free wireless Internet access and a computer to use in our waiting room.